On July 14, Luis Moreno-Ocampo, prosecutor of the International Criminal Court (ICC), presented "evidence showing that Sudanese President, Omar Hassan Ahmad al-Bashir committed the crimes of genocide, crimes against humanity and war crimes in Darfur." The motives of the Sudanese head of state were "above all, political," the prosecutor declared. He used the "alibi" of counterinsurgency in order to try "to end the history of the Fur, Masalit and Zaghawa people." In fact, "his intent was genocide." The first suspect to be tried on charges of genocide in Europe was Gen. Radislav Krstic, the commander of the Serb forces at the time of the massacre of eight thousand Bosnian Muslims at Srebrenica in July 1995. "You agreed to evil," presiding Judge Almiro Rodrigues told the accused: "You are guilty of having agreed to the plan to conduct mass executions of all the men of fighting age. You are therefore guilty of genocide, Gen. Krstic." Let us recall that in the case in question, women, children, and old people were spared and the wounded were evacuated. Obviously, this is no excuse for the terrible massacre. But it could have been taken into consideration by the court as a humanitarian measure, since a distinction had been made between combatants and non-combatants. Instead, the opposite transpired: the court found the fact that this separation took place to be additional evidence supporting the charge of genocide, since the victims had been killed by virtue of their belonging to a group: namely, that of Bosnian Muslim males of arms-bearing age. Moreover, the mere existence of logistical preparations (vehicles, fuel, materials for digging graves, etc.) was taken as sufficient to prove the intention to destroy the group, which is essential for establishing the crime of genocide. But a mass crime -- and what war does not involve them? -- never happens by accident. It is the result of a prepared operation and hence necessarily of an intention. And a group, even if it is relatively stable, is always an arbitrary construction. It is by definition the product of a selection of certain attributes among others: such as age, social status, religious affiliation, geographical location, skin pigmentation, and many others. According to the reasoning of the Krstic judgment, any crime provoking a "substantial number" of victims among a group defined by stable criteria could be qualified as genocide. The condemnation of Krstic was welcomed by numerous commentators and human rights organizations as an important step forward in the evolution of international law and ethics. In practice, it meant that any war could henceforward be regarded as genocidal -- unless we can somehow imagine "good" armed conflicts in which the two sides make an appointment to fight at a given time and place as in a duel. From Liberia to Chechnya, from Burma to the two Congos, and by way of Rwanda and Uganda (whose current leaders are guilty in both cases of massacres in the Democratic Republic of Congo), situations that could give rise to the charge of genocide should from now on multiply. If one applies the logic of the ICC, the Spanish Civil War, the Algerian War of Independence, the Vietnam War and the Afghanistan War -- to name just a few -- should be regarded as genocidal in character: since these wars as well have involved massacres of civilians, the use of militias, torture, and forced transfers of population. It is difficult to see why the victims of these crimes should not demand the recognition of "their" genocides. The Algerian President Abdelaziz Bouteflika has already begun; others can be expected to follow. Apart from the judicial inflation to which it gives rise, the major problem with this perception of armed conflicts as "genocides" (the former Yugoslavia, Sudan, and undoubtedly more to come) is that it removes them from history and politics, in order to subject them instead to a purely moral judgment. To qualify a war as genocidal is to leave the terrain of politics, of its relations of force, of its compromises and contingencies, in order to situate oneself in some metaphysical beyond in which the only conflict is between Good and Evil: fanatics versus moderates, blood-thirsty hordes versus innocent civilians. That massacres have been perpetrated by the Sudanese regime within the context of counterinsurgency operations, that a strategy of terror has been employed by the army and militias -- these are proven facts. That there has been an intention on the part of the regime to exterminate the peoples of Darfur -- this, however, is mere speculation. If it was the case, how is to one understand the fact that two million Darfuris have sought refuge around the principal army garrisons of their province? How is one to understand the fact that one million of them live in Khartoum, where they have never been bothered during the entire course of the war? How is one to understand the fact that an enormous humanitarian apparatus has been put in place that has permitted thousands of lives to be saved? Can one seriously imagine Tutsis seeking refuge in areas controlled by the Rwandan army in 1994 or Jews seeking refuge with the Wehrmacht in 1943? It is true that during his statement to the U.N. Security Council on June 5, the prosecutor went so far as to describe the refugee camps as sites where the genocide was being perpetrated -- which is, strictly speaking, insane. Such episodes of intellectual incontinence are hardly the first as concerns Darfur and the case of Darfur is, of course, not the only one that provokes them -- though it provokes a great number. But with such arguments used to support such an accusation, the legal characterization of events and their political comprehension have gone completely separate ways -- to the point that the former impedes the latter. Under such circumstances, one can wonder what exactly is the purpose of international law. Moreover, it is a good bet now that the protagonists of the Darfur conflict will become more intransigent. The rebel movements will be justified in thinking that they have won a battle and they have no reason to stop there. How could anyone blame them for not wanting to negotiate with a genocidal regime? How could anyone criticize them for launching attacks that will necessarily be considered as legitimate self-defense? This encouragement to them to fight could set in motion a new cycle of violence and reprisals, both the humanitarian and political consequences of which would be disastrous. The defenders of the International Criminal Court will respond, not without some justification, that no one can say for sure at this point and that the decision could, on the contrary, bring about the removal of the hardliners in the regime and their replacement by a moderate faction. Even if this highly improbable hypothesis should turn out to be the right one, the political problem posed by the use of the term "genocide" would remain. It is now up to the judges of the International Criminal Court to decide what happens next. It is by no means certain that they will issue the arrest warrant requested by the prosecutor. Even if they do, the Security Council would still have the possibility, as laid out in the statute of the court, of suspending an indictment for one year and renewing the suspension thereafter. This is to say that there is a long way from the prosecutor's request to actual proceedings: and the way is all the longer inasmuch as China and Russia are probably not the only countries on the Security Council who would like to stop the indictment. 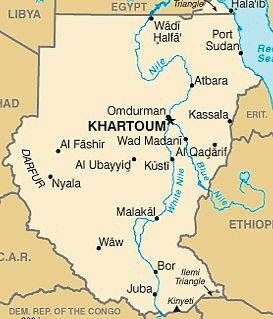 The United States could well adopt a similar line, in the interest of preserving the cooperation of the secret services of Khartoum, who represent an important partner in the fight against terrorism. Rony Brauman was president of the French NGO Médecins sans Frontières (Doctors Without Borders) from 1982 to 1994. He is the author of numerous volumes on humanitarian assistance and conflict situations, including "Aider, sauver : Pourquoi, comment?" The above article first appeared in French here on the Web site Causeur. The English translation is by John Rosenthal.